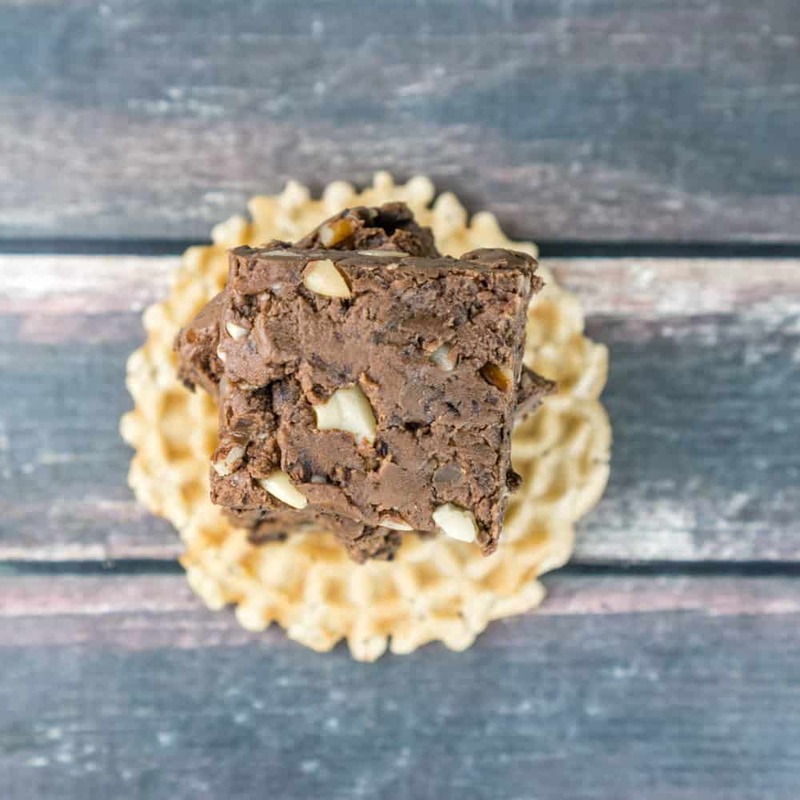 Healthy, peanut buttery, crunchy, 5-ingredient, naturally sweetened no-bake fudge brownies. Does it get any better than this? This recipe is sponsored by Randall Beans. You know what I try to never do this time of year? Make big resolutions to be healthy or lose weight. I am all for people being healthy, but I feel like any time of year is a good time to do that. And on top of that I am usually frustrated by all the people who show up at the gym on January 2. But this year I am being a hypocrite and doing exactly that – starting to eat healthier and joining the gym in January. The reason for this is that for the last couple of months we have been doing house renovations, moving, and unpacking, so we didn’t have much time for home cooked meals or the gym. So it happened that by the time we were settled enough to make gym time and healthy cooking a priority, it happened to be January. 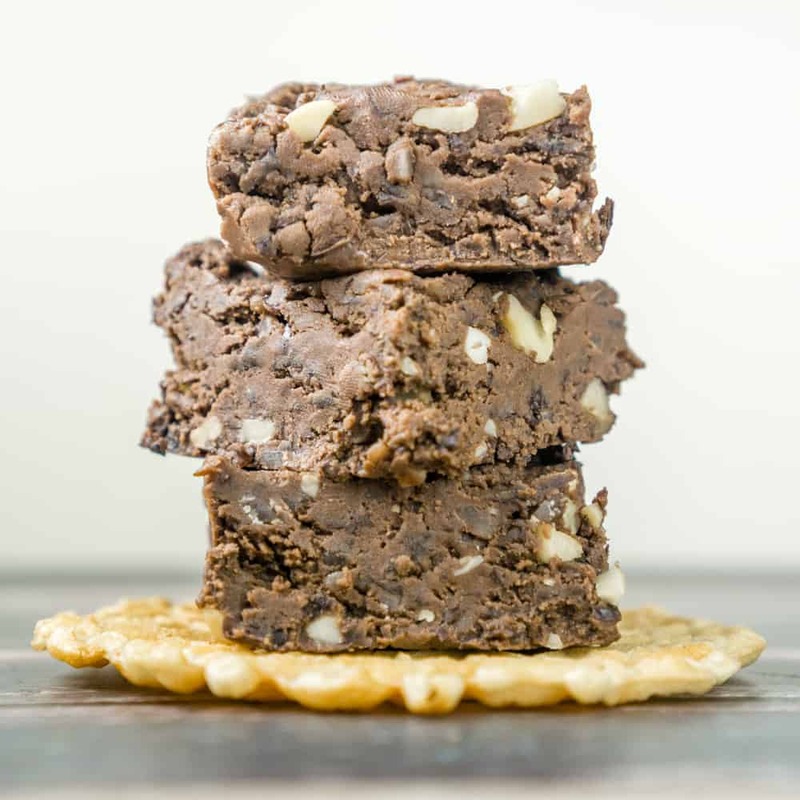 Last week I posted a delicious Fennel Salad with Dill recipe, and this week I am sharing this healthy No Bake Fudge Brownies recipe that I created for Randall Beans. Because I am not skipping dessert. Heck no. The magic to these brownies? Beans. Yes, beans. Black beans to be exact. 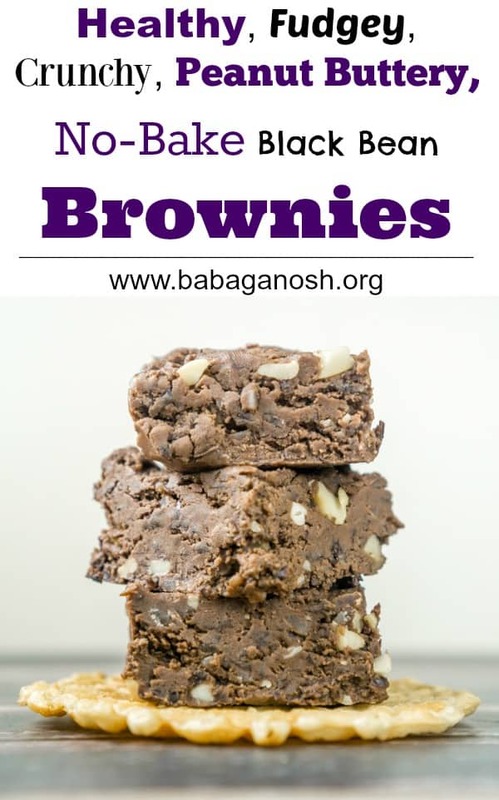 Don’t feel weird about it – beans are commonly used in desserts around the world, and they help make these brownies fudgey. The other magic component of these brownies? Peanut butter. Because peanut butter and chocolate are meant to be together. And the fact that they are no-bake is pretty magic too. 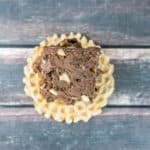 I don’t believe in feeling guilty about food, but if you are looking for a sweet treat that is still nutritious and not too high in calories, give these Peanut Butter No Bake Fudge Brownies a try. In a food processor, process the black beans until they are mostly broken up. Add the peanut butter and agave syrup to a microwave-safe bowl and microwave for 30-45 seconds, until the peanut butter is melted but not boiling hot. Add the melted peanut butter, agave, and the cocoa powder to the food processor and continue to blend until you have a smooth mixture. Transfer to a bowl and gently stir in the crushed nuts. Line a 9 x 9 inch pan with plastic wrap and spray with non-stick spray. Press the brownie mixture into the pan and smooth out the top. Cover and refrigerate for at least an hour or overnight. Slice into 9 brownies.